Rescuers working at the wreck site of the Bulgaria pleasure cruiser say many of the dead just had time to put on life vests, but failed to escape. 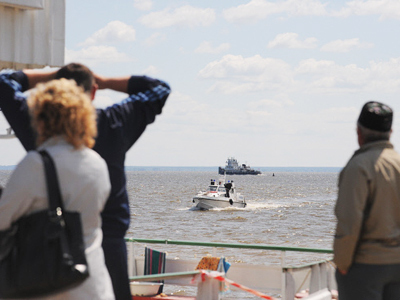 The ship sank on Sunday on the Volga River and only 79 of the 209 people onboard survived. “We were forced to cancel our vacation. This tragedy has left none of us – people accustomed to seeing massive grief – untouched. So many of our countrymen have died,” divers of the rescue team “Leader” said in an interview with Komsomolskaya Pravda newspaper. The conditions for the operation are difficult. “There is practically no visibility at the bottom. A good flashlight could allow you to see for no more than half a meter. And without light it was pitch-black darkness there, like during the night,” they said. The sunken ship is lying less than 20 meters underwater and is unstable. “The waves rock the vessel all the time. If it suddenly tips over, not every rescue diver will manage to get out,” they said. 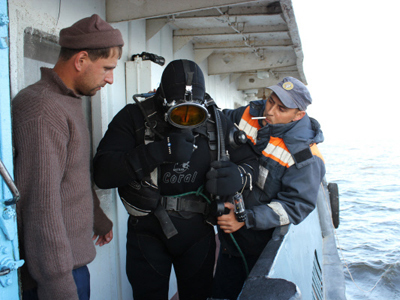 The divers’ main task now is to find all the bodies inside the ship and take them to the surface. “We search for free ways to places we need to get to and get somebody out. If we see somebody behind bars, we cut them. If there is nobody, we go on and search for new access routes,” they explained. There are many signs underwater of a panic and attempts to escape the doomed ship. “Many of the dead are wearing floatation vests. They managed to put them on, but failed to get out,” the rescuers said. “Apparently the survivors are those lucky to have gotten out in time. The ship sank very fast, in two or three minutes. Those who were close to the exit survived. It’s clear that people wanted to save their lives very much – some broke down their cabin doors trying to escape. 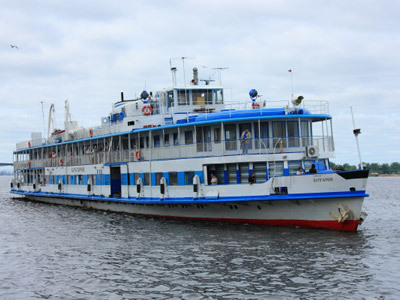 Most of the passengers were in the restaurant, since it was dinner time. We found many men and women there,” they added. The divers have tactics to reduce the traumatic impact of the job. “The ‘diver dead’ are not that scary. The only scary thing about them is how they suddenly come into view. You go and – whoa! – there it comes. We try not to look them in the faces. We try to turn them away. There was this man yesterday we didn’t have enough time to retrieve. He was floating at the cabin’s top in a life vest; apparently, he failed to escape because a bed and a bedside table blocked his way. He didn’t have enough air to push the furniture away and get out. He was so big. It took us much time to drag him out,” the divers said. They say the worst part is the number of children who died in the disaster. “Most of the children were in the music hall, where they had a party. It’s difficult to recover children and women. And there are many of them inside, some 80 per cent are women and children,” they explained. The music room really affected the rescuers. “We looked at it all and I wanted to go home and hug my kids,” one of the divers said. 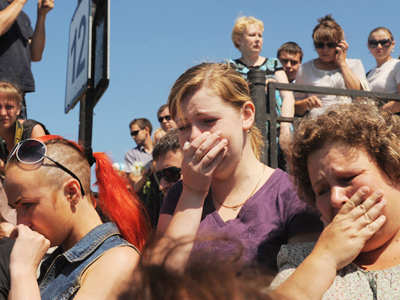 Meanwhile, Russia on Tuesday mourns for the victims of the Bulgaria boat accident, which was the country’s worst disaster of its kind in decades.